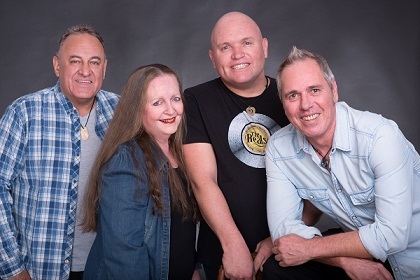 This weekend (November 24 and 25, 2018), the Reals will perform their highly popular production Hot August Night - The Music Of Neil Diamond at the Allan Wilson Shellhole in Pietermaritzburg. Born in January 1941, Neil Diamond is an American composer, singer, musician and actor. With 38 songs in the Top 10 on the Billboard Adult Contemporary charts, Diamond has sold more than 125 million albums worldwide, making him one of the best-selling musicians of all time. Diamond was inducted into the Songwriters Hall of Fame in 1984 and into the Rock and Roll Hall of Fame in 2011. In 2018, Diamond received the Grammy Lifetime Achievement Award. Paying respect to the music of this legendary artist composer and performer is Durban’s own tribute band ‘The Reals’ with Barry Thomson on guitar and vocals, musical director Dawn Selby on keyboards and vocals, Mali Sewell on drums and vocals and Jason Andrew on bass guitar and vocals. Included in the repertoire of Hot August Night are Diamond’s hit songs Cracklin' Rosie, Song Sung Blue, Longfellow Serenade, Desiree, You Don't Bring Me Flowers, America, Heartlight, Sweet Caroline and I’m A Believer. A show not to be missed! Tickets R150 (R130 pensioners, students with a valid student card & block bookings of 8 or more). Bring food picnic baskets and a bar is available (no alcohol may be brought on to the premises). There is limited secure parking.